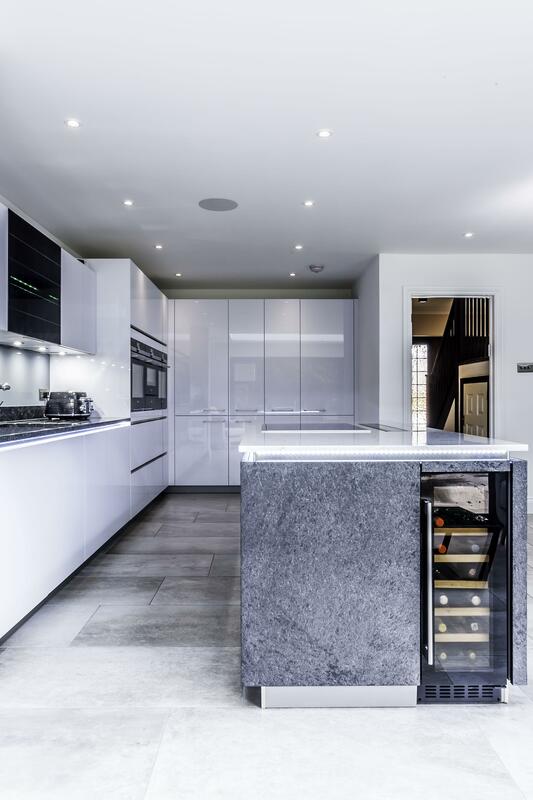 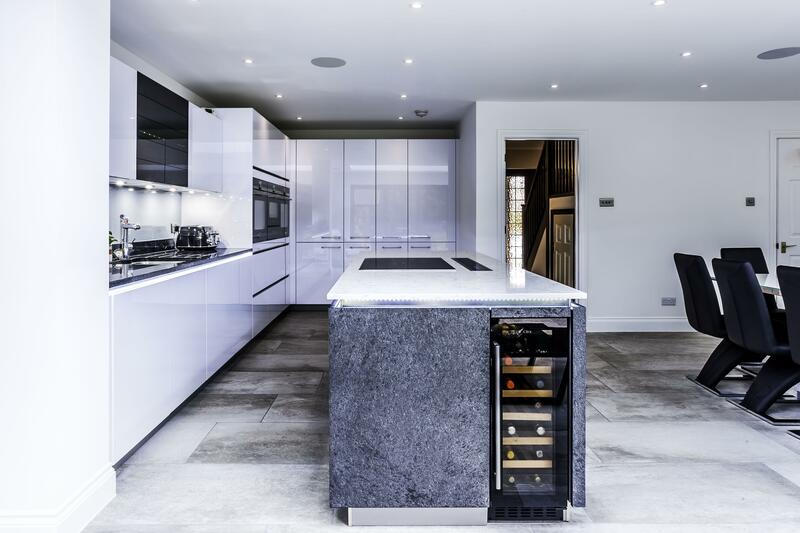 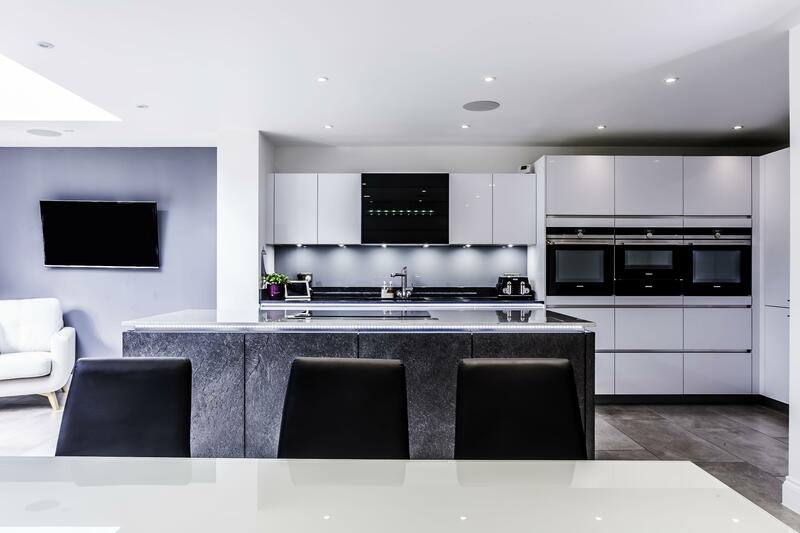 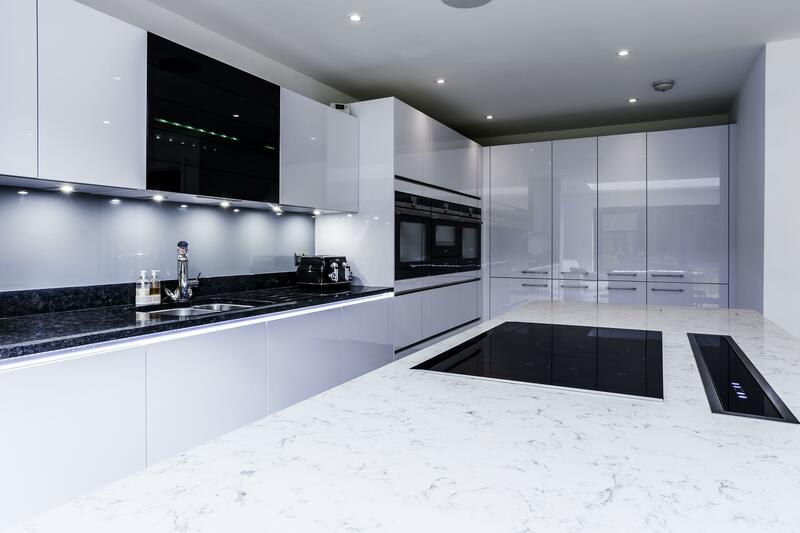 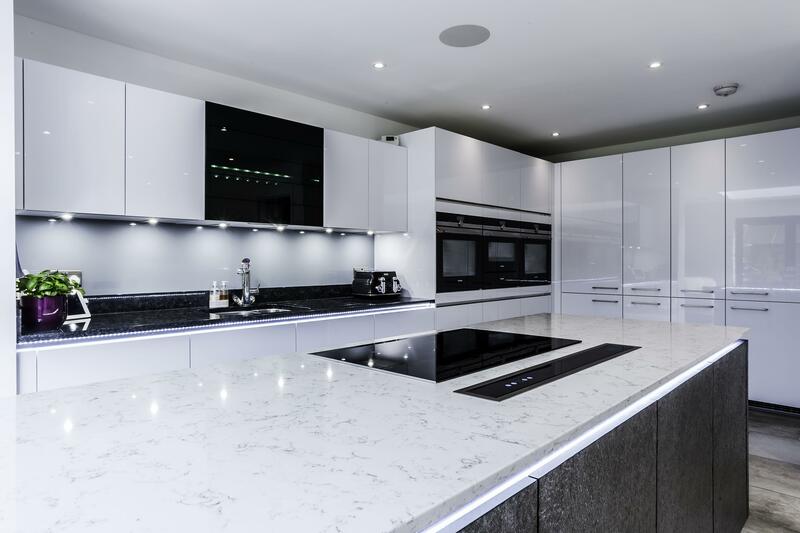 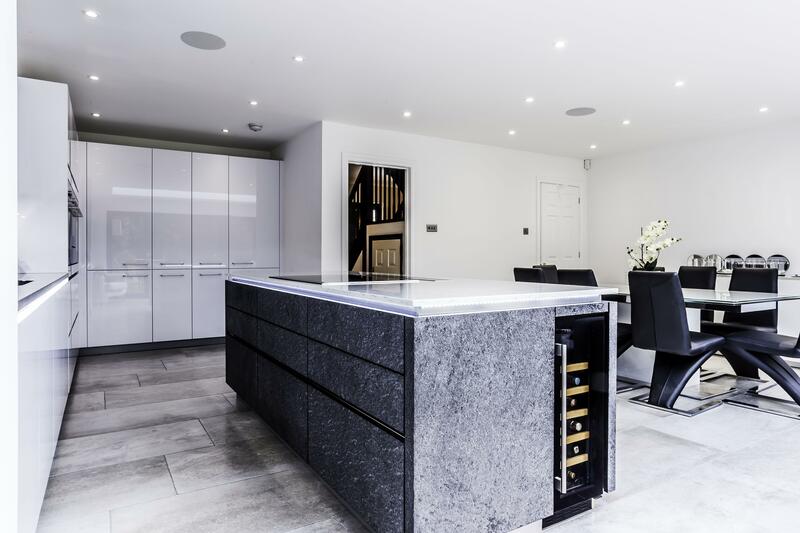 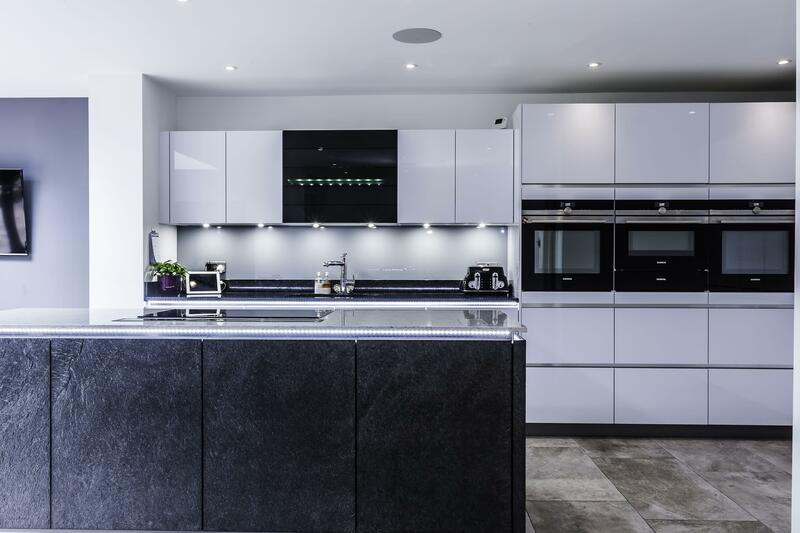 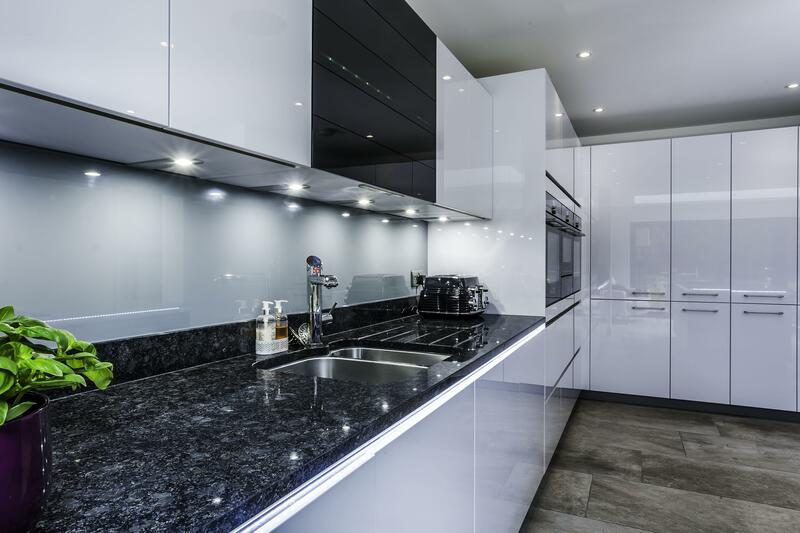 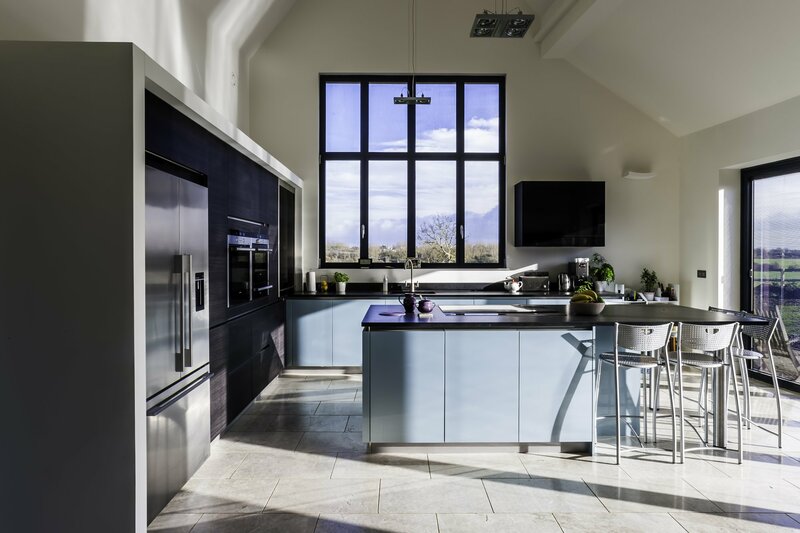 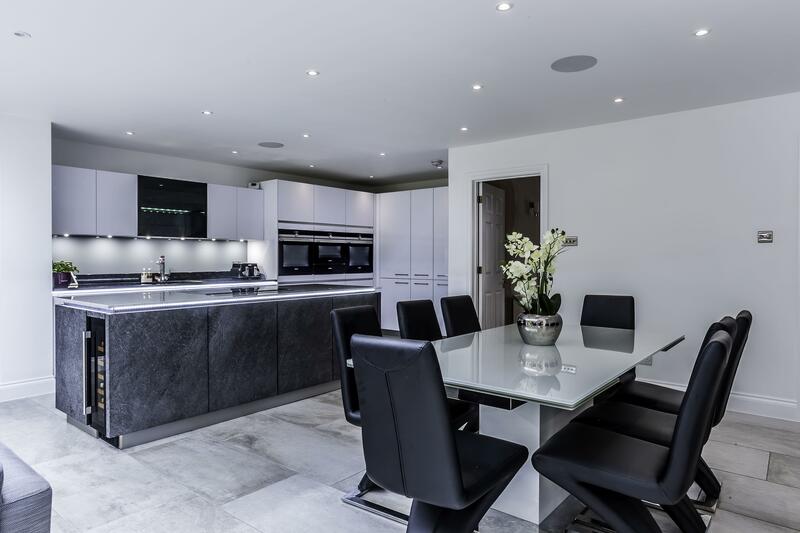 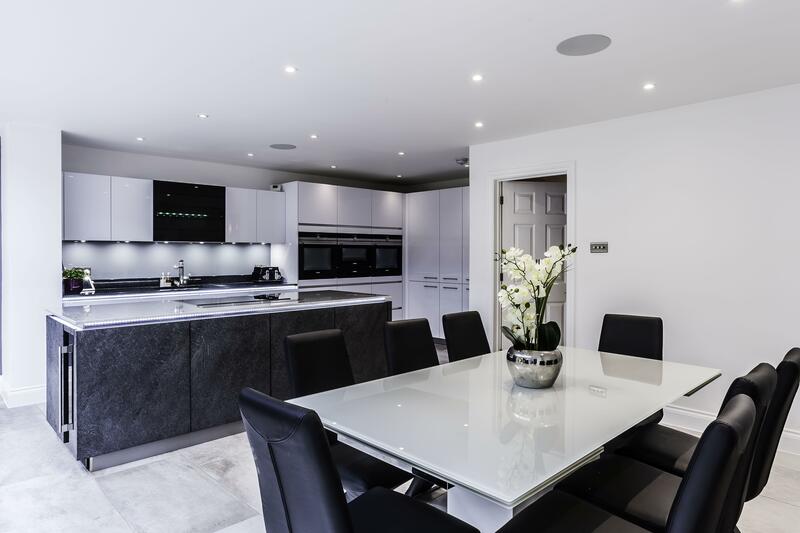 This beautiful kitchen is a mix of ‘Polar White’ gloss and ‘Black Star’ cabinetry. 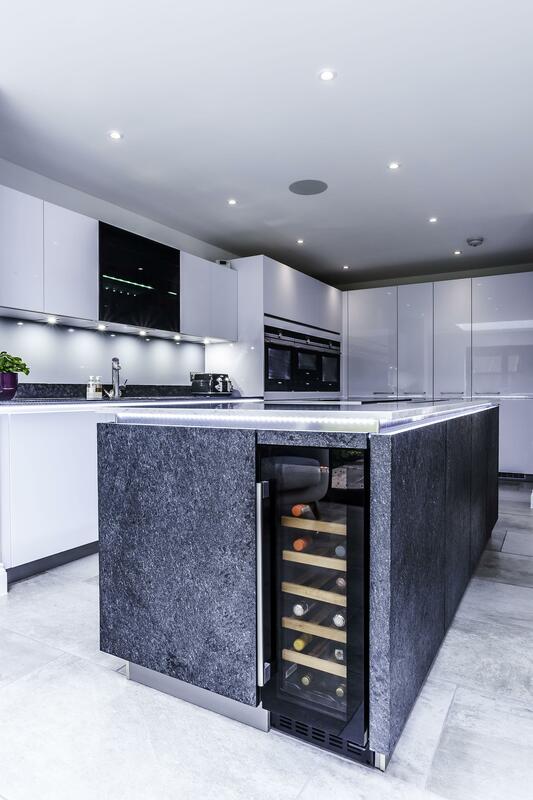 The stunning island takes centre stage, with the slate veneer doors providing texture and contrast in a light room. 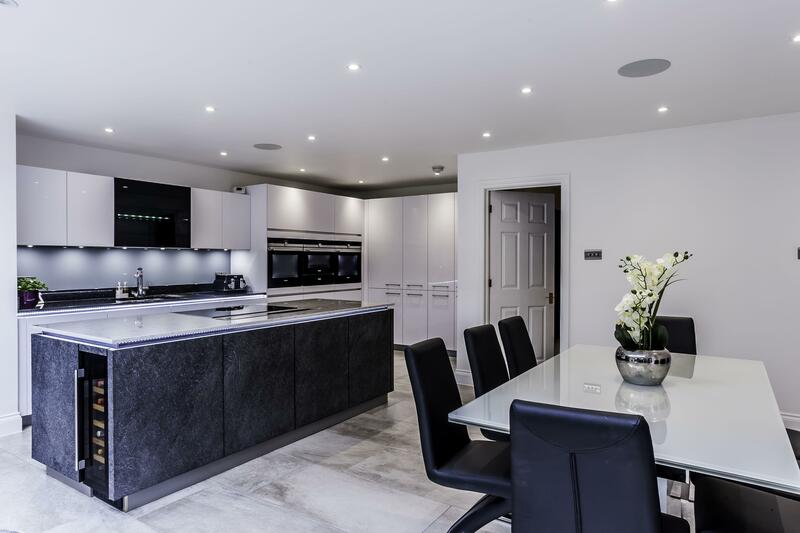 An island is often the hub of the kitchen and a great entertaining area, especially in an open plan space. 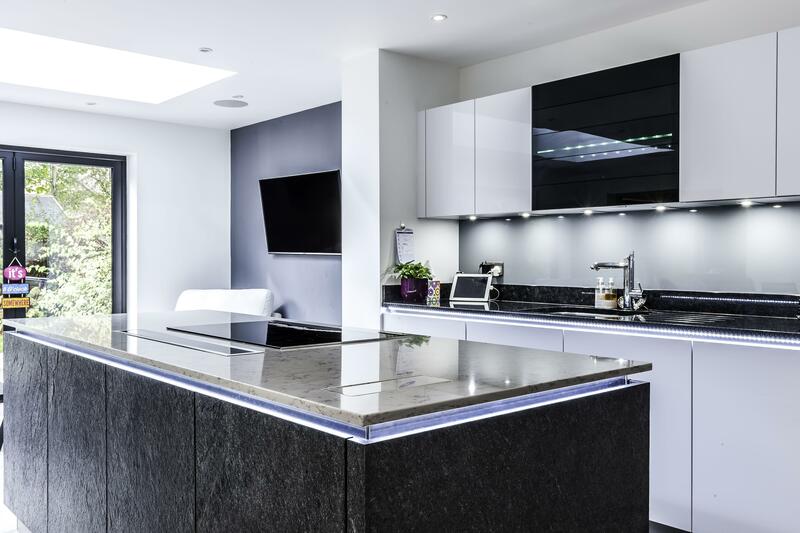 The Siemens induction hob with down-draft extractor makes for a social cooking area, perfect for those all-important dinner parties! 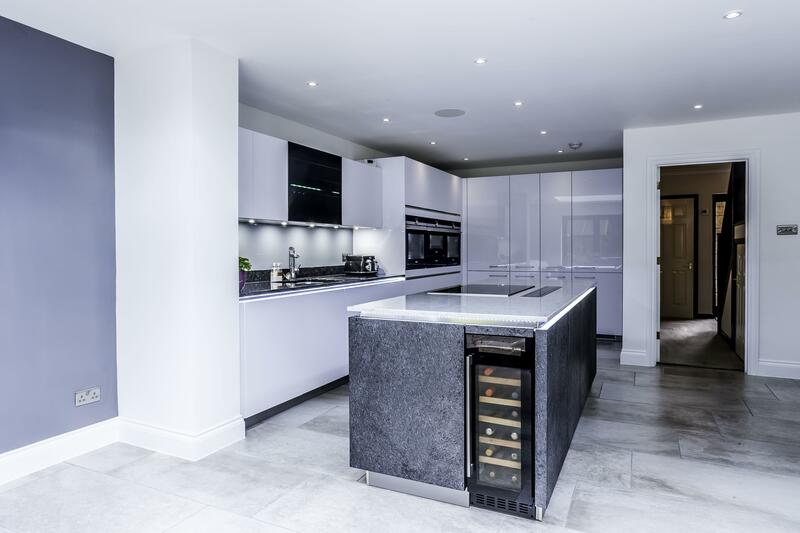 In this design, a mix of two worktops were chosen, ‘Steel Grey’ granite on the sink run and ‘Lyra’ quartz on the island, each complimenting the colour scheme.